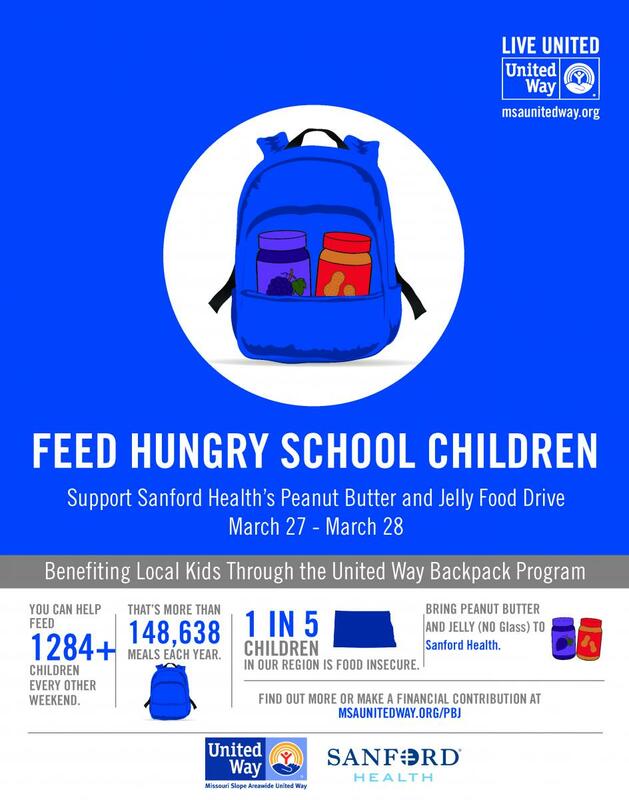 The Sanford Health Peanut Butter and Jelly Drive will run from March 27 through March 28, 2019. Be an advocate on social media and share photos and stories of inspiration using #SanfordPBJDrive. Thank you for your contribution! Your donation is ensuring that over 1,300 local students in our community do not go hungry on the weekends.